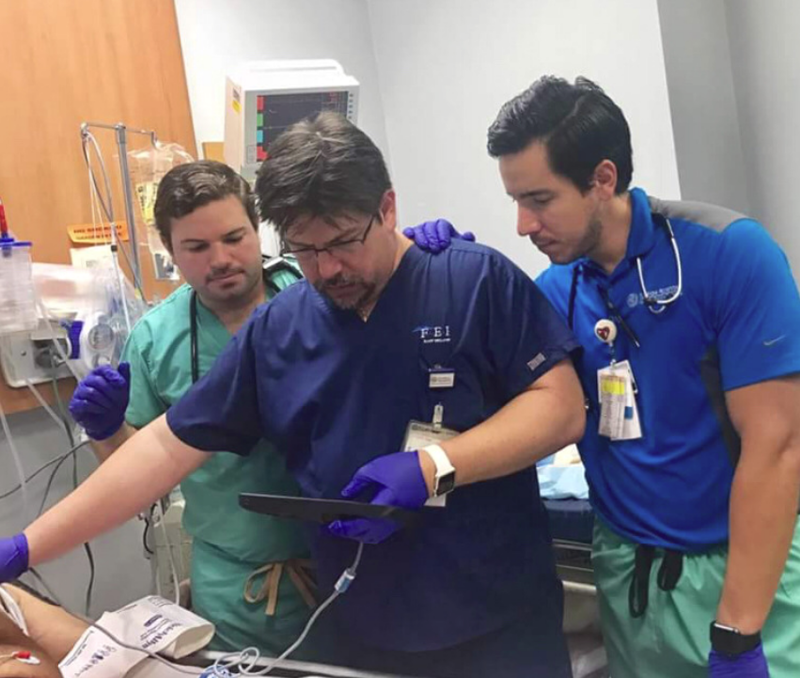 Dr. Alfredo Tirado is from Florida Hospital in Orlando, and has been leading an emergency response mission in Puerto Rico to help with Hurricane Maria relief. 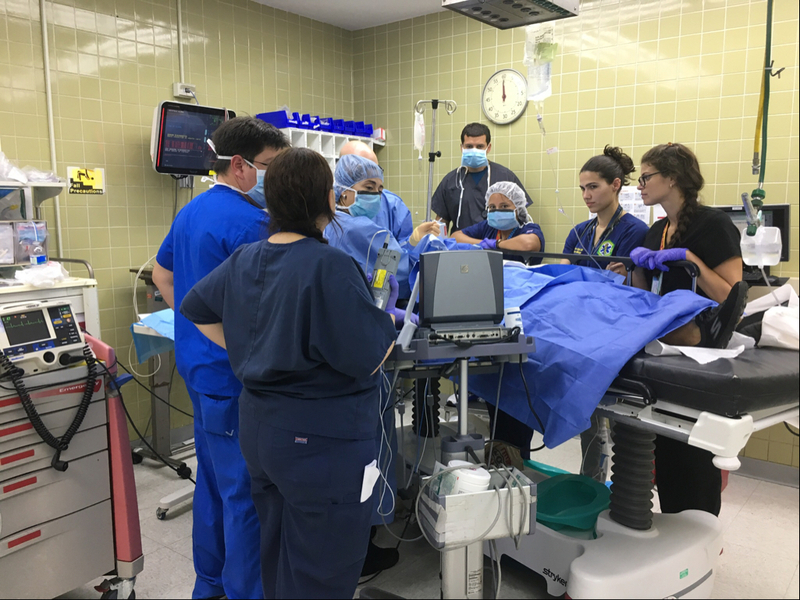 FUJIFILM SonoSite has contributed four M-Turbos to the medical recovery efforts, and Dr. Tirado sent us an update on his work with medical patients on the island. He is being escorted by helicopter to the most at-need regions and in the image below he is using the SonoSite iViz to perform a FAST scan on a patient. "Thank you for helping us give the best care available to all patients in Puerto Rico during this crisis. We’ll be issuing one M-Turbo system to each of the EM residency programmes in Puerto Rico; UPR Hospital in Carolina and another to Hospital San Lucas. Both hospitals have residency programmes, and currently have little or no electricity, no access to CT scans; as such, ultrasound has become indispensable in their daily work to take care of patients. The other two systems will be issued to relief teams, to be used in the field and in areas of greatest need. We are committed to ensuring that these systems get to their final destinations and be used effectively in relief efforts.We are currently sending teams weekly to work around the island to assess needs and provide patient care. Thanks again for the help and support during this time of crisis. " Dr. Tirado recently appeared on Orlando local news to discuss his efforts (along with other Puerto Rican physicians) toward alleviating medical issues in the hurricane-ravaged U.S. territory. You can watch that segment here. Our most versatile system for abdominal, nerve, vascular, cardiac, venous access, pelvic, and superficial imaging, the SonoSite M-Turbo® ultrasound system gives you striking image quality with sharp contrast resolution and clear tissue delineation.